My Thai restaurant is located in The Beacon hotel, Sandyfor, Dublin. The place offers great deals of Thai and Asian dishes. 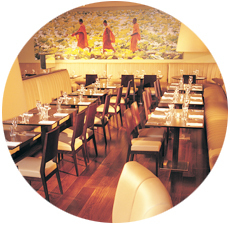 The My Thai is a Thai restaurant, it is one of Dublin south area's popular destination in the Sandyford's Beacon hotel, offers best and authentic Thai and Asian cuisine. 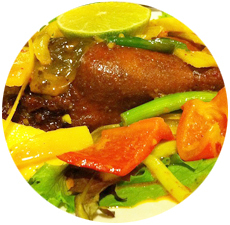 The restaurant offers tasty authentic Thai & Asia Pacific food with wonderful and outstanding service & atmosphere. 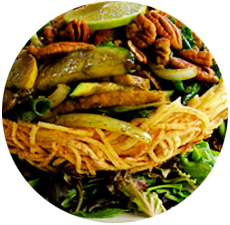 My Thai also offers to bring the fantastic tastes of the restaurant right to your door. Its takeaway menu is available via Deliveroo Monday to Sunday from 12 to 10pm and offers wide range of Thai deishes. My Thai provides one of the finest group cooking course and learning facilities to enthusiast people who are willing to learn to cook fabulous Thai Cuisine. Their Head Chef, San, teaches to cook for a party of six at the restaurant. For booking table in the My Thai Restaurant please fill out the Reservations Form provided. • Express lunch from €11.95 served in 15 minutes or its free!